New York Article 78 Attorney | Westchester Article 78 Lawyer | Bruno V. Gioffre Jr. There are 2 types of courts in New York State – a judicial court of law such as a local justice court or a county court, and an administrative tribunal. Administrative tribunals are set up by the administrative agency for adjudicating issues within their authority. For example, the State Liquor Authority has a hearing’s unit to adjudicate whether a violation alleged against a liquor license holder is valid. New York State has dozens of agencies and authorities. For example, the one most commonly known is the Department of Motor Vehicles. In addition to the State of New York, counties, cities, towns, and villages contain agencies and independent authorities, such as school districts and fire districts. Each of these agencies has certain authority pursuant to the enabling act under the Administrative Procedure Law. When an administrative agency makes a decision adverse to an individual’s rights, or fails to act when it should, the only redress that the individual has is to seek a review of the administration’s actions or inactions in a court of law. This authority is vested in the judicial courts of law by way of NY CPLR § 7800. Article 78 is the article of the New York Civil Practice Law and Rules (CPLR) that establishes the procedure for challenging the determinations of administrative agencies. 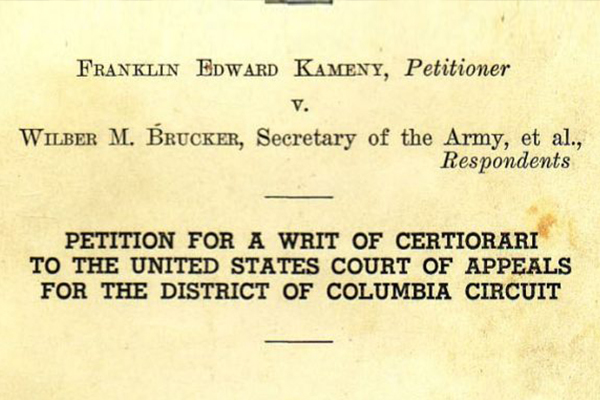 Enacted in 1937, an Article 78 proceeding is a special proceeding in New York State for obtaining the relief previously obtained by writs of mandamus, certiorari or prohibition (CPLR § 7801). Whether a determination made as a result of a hearing held, and at which evidence was taken, pursuant to direction by law is, on the entire record, supported by substantial evidence. A proceeding to review the final determination or order of the state review officer pursuant to subdivision three of section forty-four hundred four of the education law shall be brought pursuant to article four of this chapter and such subdivision; provided, however, that the provisions of this article shall not apply to any proceeding commenced on or after the effective date of this subdivision. An article 78 proceeding is brought in New York State Supreme Court in any county within the judicial district where the agency made the determination, where the events took place, or where the principal office of the agency is located. However, when bringing an Article 78 proceeding against a justice of the New York State Supreme Court or county court it must be commenced in the Appellate Division. There is a short time frame in which to commence an Article 78 proceeding. The action must be commenced within four months after the action reviewed becomes final and binding upon the individual, after the agencies refusal to perform its duty, or with leave of the court under other circumstances.